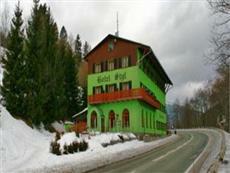 Discover all that spindleruv Mlyn has to offer with Hotel Styl as a base. The Hotel Styl boasts a convenient location with modern amenities in every guestroom and superb service. Each guestroom is fully equipped with shower, satellite/cable TV.The amenities and services offered at this spindleruv Mlyn accommodation include shops, elevator, restaurant, pets allowed, WiFi .Modern comfort and convenience are seamlessly combined to ensure the guests' satisfaction. For your reservation at the Hotel Styl, simply submit your dates and complete our secure online booking form.